Doctor has Right to go on leave. The National Commission again came to the rescue of Doctors and denied the charges of Medical Negligence of WORTH RS. 2 CRORES, on the count that the Doctor without giving proper instructions to the other Doctor went on leave. The case is that of Shri. 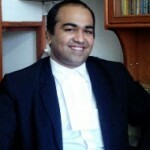 Manishbhai Joshi V/s. Sheth P.T. Surat Gen. Hospital & ors. The Deceased patient 86,, father of the Complainant the patient of past Bilateral Centrilobulor Emphysemtous in the form of Hyperinflated lung with flattening of lobbes was admitted in the Hospital, succumbed to long existing chronic end stage respiratory disease, But the main grievance of the Complainant was that the treating Doctor went outstation without giving proper Instruction to his fellow Doctor, when the patient was still admitted in the Hospital. The National Commission rejected the complaint for Rs. TWO CRORES Compensation and observed as above. It further held that in our opinion, briefing by main treating Doctor to other Doctor, in his absence, would be necessary since the symptoms, diagnosis & treatment of the patient is recorded in the treatment record of the patient kept in the hospital and therefore any suitably qualified doctor attending the patient, in the absence of the previous doctor, would be in a position to advise appropriate treatment and medicines taking into consideration symptoms, conditions and illness of the patient along with the treatment given to him in the past. It is not as if only a super specialist in chest related disease can treat such a patient. A doctor, who has done Post Graduation in Medicine, in our opinion, is fully competent to treat the patient. In fact, in almost all the hospitals, Senior Doctors normally retire for the day in the evening/night and it is only Junior Doctor such as Junior Residents and Senior Residents who remain on duty. The consultant is called if necessary, depending upon the condition of the patient. This judgment is of utmost importance for all the Medicos. Because such situation is faced by every Doctor. 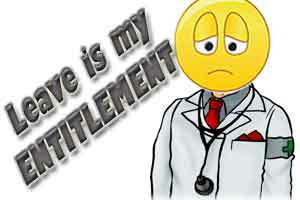 Any professional is Human first than an expert from his/her filed..
1 comment(s) on Doctor has Right to go on leave. It’s high time society stops putting the doctor needlessly on a pedestal and then showing him around! Doctors, on their part also should be responsible in assigning duties to their deputies whenever they are not available. This judgement is a shot in the arm!